Peanuts are a common snack item and kitchen ingredient that can easily be found in any market, grocery store, or convenience store across the country. 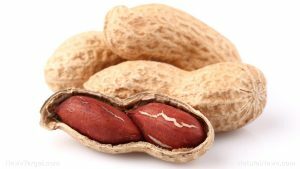 Despite what their name might suggest, peanuts are technically not nuts but legumes, according to WHFoods.com. They are closely related to peas, lentils, and chickpeas, and grow from a flower that burrows underground, where the peanuts continue to mature. Peanuts come in a brown pod that contains between one to three seeds, which is the part that is eaten. Peanuts are originally from South America, but they are now grown all over the world. The biggest producers of peanuts globally are China, Nigeria, Indonesia, and the United States. Peanuts are an excellent source of antioxidants, with most of these concentrated in the skin, according to AuthorityNutrition.com. These antioxidants, including reservatrol, isoflavones, and phytosterols, help fight free radicals, thereby reducing cancer risk. They can also be effective for weight loss, helping people stay at a healthy weight by making one feel more full with a lesser amount. Peanuts are known to aid heart health as they contain nutrients — such as magnesium, niacin, copper, and oleic acid, all of which support cardiovascular function — along with antioxidants. They can prevent gallstones by helping lower cholesterol. Peanuts are a good source of biotin, which promotes healthy hair and nails. They are also rich in folate, which is beneficial for pregnant women. They contain a significant amount of thiamin, which allows the body to convert carbs into energy, promoting proper functioning of the heart, muscles, and nervous system. It should be noted that peanuts are one of the most common food allergens. Consuming these food items can be extremely harmful and even fatal to those with peanut allergies. They also contain the anti-nutrient phytic acid that can impair the absorption of iron and zinc in the body. As with any food, peanuts should be eaten in moderation. Peanuts are easy to incorporate in any diet. They can be eaten boiled, roasted, or fried, or else included in recipes for other main dishes and desserts. According to Craftsy.com, peanuts can be included in sweets such as peanut brittle bars, cookies, pies, and even donuts. Peanuts can also be blended into soups, crushed, used as crust for meat dishes, or fried into fritters. For those who don’t like the texture of peanuts, they can still reap the health benefits by including peanut oil or peanut butter into their meals. Peanut milk, which is a dairy substitute made from raw peanuts, is also available. Peanuts reduce the risk for heart disease by supporting heart function. They contain many antioxidants that can prevent against free radicals. They are ideal for weight control and management. Peanuts can also promote healthy hair and nails. They support natal health and can prevent biotin deficiency in pregnant women.